Price: £32.98 (for episode 2-5 bundle). 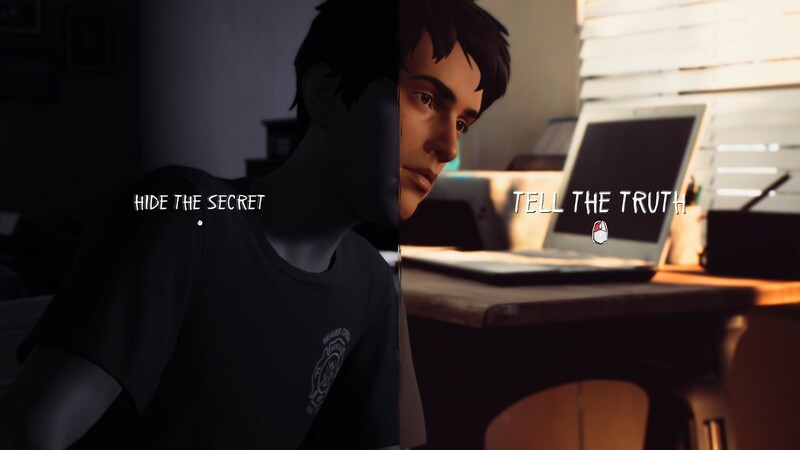 The opener of Life is Strange’s second season had me intrigued but also a little concerned. After kicking off in emphatic style, it then proceeded to tell a thematically interesting if somewhat meandering tale about brotherly love and bigotry in modern America. I was willing to give it the benefit of the doubt on this latter point, because, well, it was the first episode. It might not be wholly clear where the story going, but surely they’d address that, right? Sadly, Episode Two is even more meandering and considerably less interesting. It also gets off to a thoroughly miserable start. We reunite with brothers Sean and Daniel hiding from the law over a crime they were not responsible for. It’s winter in Oregon, and they’re hiding out in an abandoned summerhouse deep in the forest. The pair have managed a peaceful few weeks, but their food is running low and Daniel is sick, so it becomes clear that soon they’ll have to move on. I also think this manipulative event exists because there’s little else going on in this episode. After leaving the summerhouse, Sean and Daniel make their way to the home of their maternal grandparents to seek sanctuary. The gramps are aware the boys are in trouble with the police but take them in regardless. And, well, that’s kind of it. The rest of the episode sees Sean and Daniel tiptoeing around the slightly awkward relationship with their grandparents. The main source of tension is that grandma is religious and a bit of a fusspot for rules, which the game naturally dares you to break. Beyond that, however, the whole narrative feels staid. 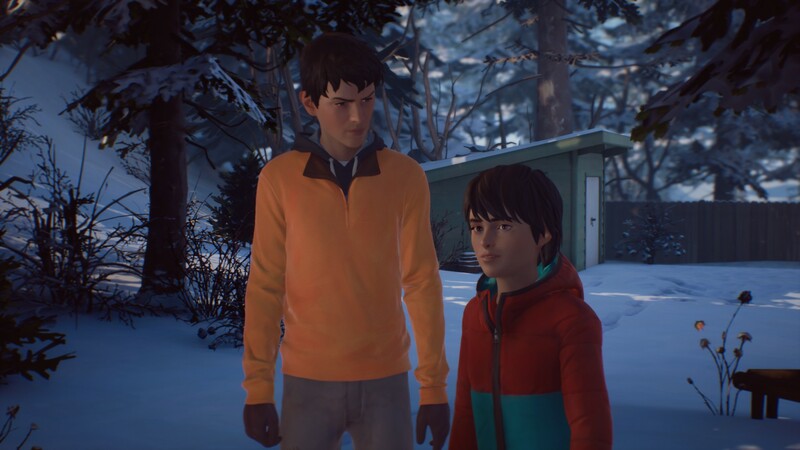 It even comes across in the voice acting, with Sean and Daniel’s dialogue constantly stumbling in an artificial attempt to produce a sense of awkwardness. 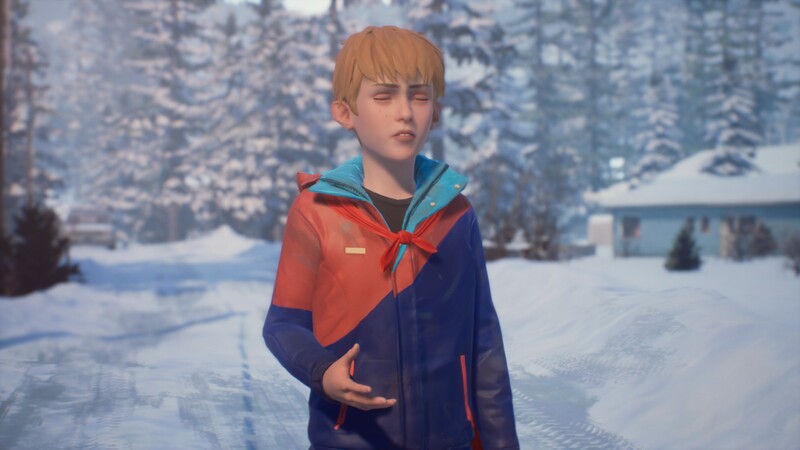 Even the return of Captain Spirit – the little boy introduced in the standalone episode between series 1 and 2 – proves to be a non-event. 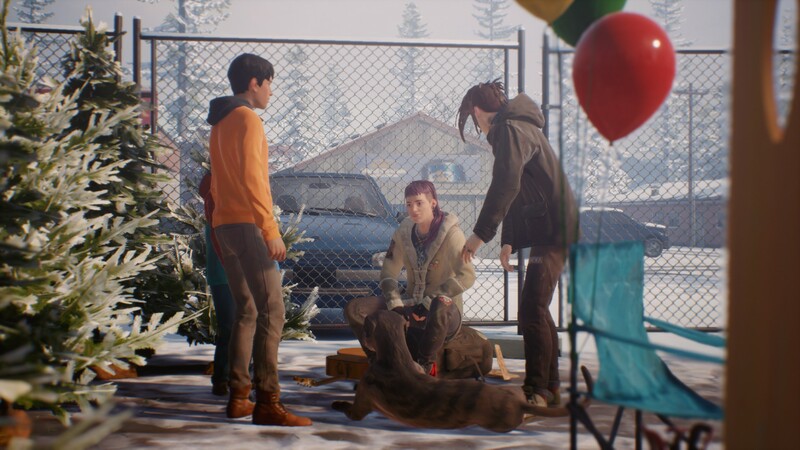 What seemed to be set up as a significant meeting turns out to be just another narrative stick for DontNod to beat players over the head with. It’s a shame, really, because underneath the surface, Life is Strange 2 is doing some interesting things. Choices in the game are frequent and can lead to some very different outcomes, both in individual scenes and across the episode as a whole. 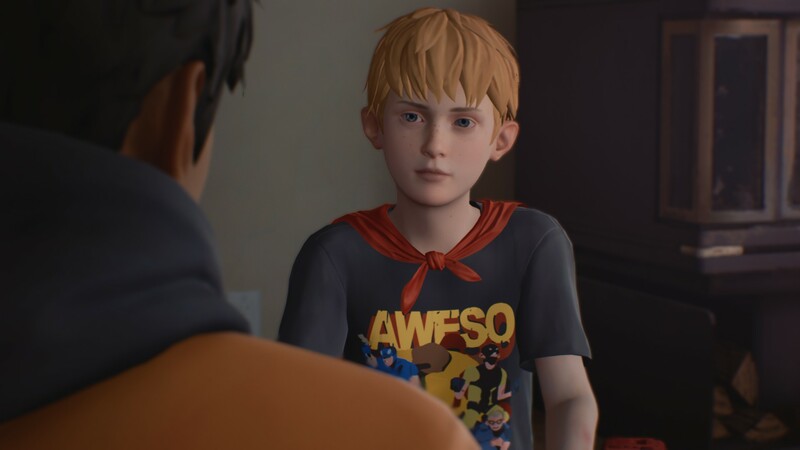 For example, you might get Captain Spirit to open up about his father’s alcoholism and physical abuse. Or you might not, or it also never come up in the first place. But the game goes further still. As with the first episode, many of these choices are centred around guiding your little brother’s behaviour. This time around, however, there’s a supernatural element. Basically, Daniel has discovered that he has a special talent, and it’s up to you to decide whether to encourage him to use his power or keep it hidden so that you don’t attract unwanted attention. Indeed, the central thrust of the game’s tension is supposed to derive from whether you want to be protective of your little brother or allow him to learn about his gift, which is fine, but you don’t really see the effects of this until right at the episode’s conclusion, and in the meantime there’s not an awful lot happening to keep you intrigued. 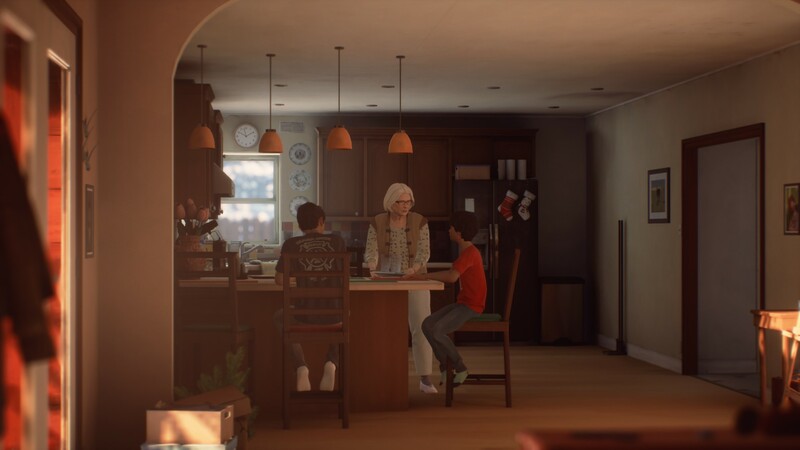 Certainly in this episode, Life Is Strange 2 sorely misses the layers of mystery that the first series had. The problem with a story about running away from something is that you have to find interesting ways to fill the gaps while that thing slowly catches up. Episode Two constantly struggles with this. Many scenes are dedicated to Sean and Daniel moping around. About their parents, about being on the run, about the Unnecessary Sad Thing that happens at the start of the episode. All of which is understandable, but none of which is particularly interesting to play through. The nadir of the episodes comes in the middle, in which you have to play a mini-game that involves sorting Captain Spirit’s toys between heroes and villains. It’s tremendously dull, as if the developers ran flat out of ideas to keep players involved. 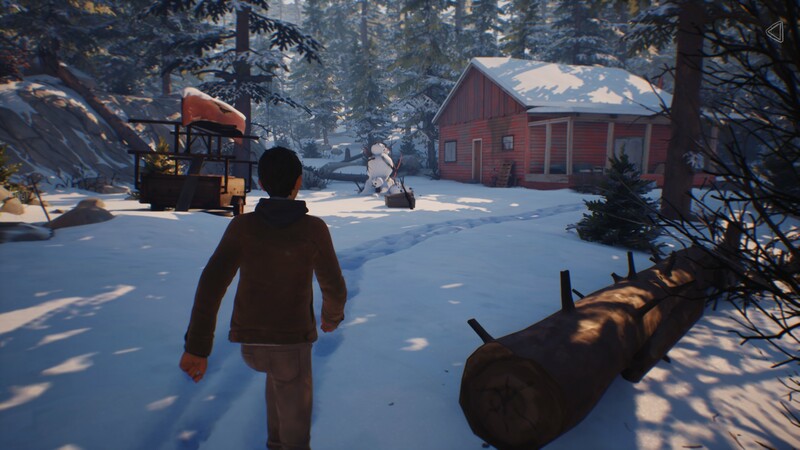 I really hope this turns out to be the low point of the whole, and that Episode Three picks up the pace again, otherwise Life Is Strange 2 is setting itself up to be little more than a miserable slog. Dontnod's tale of time-travelling teenagers is one of the year's most pleasant surprises.